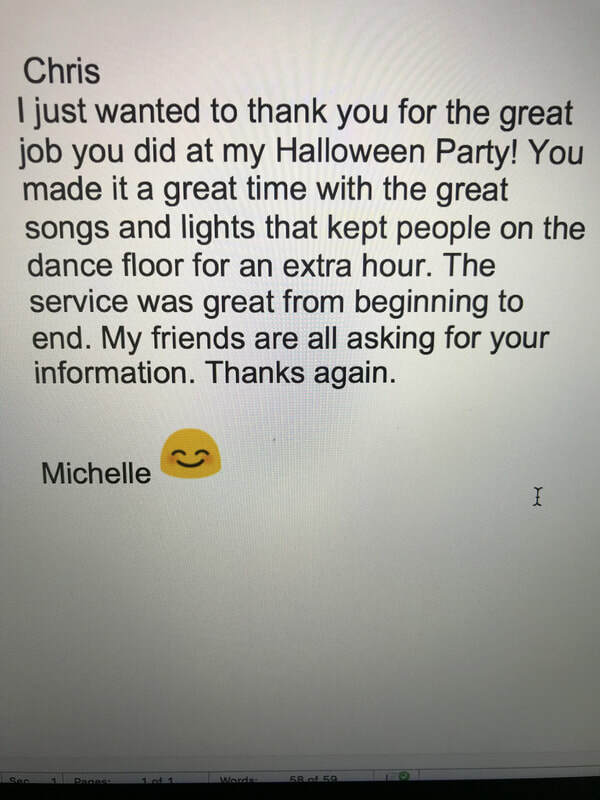 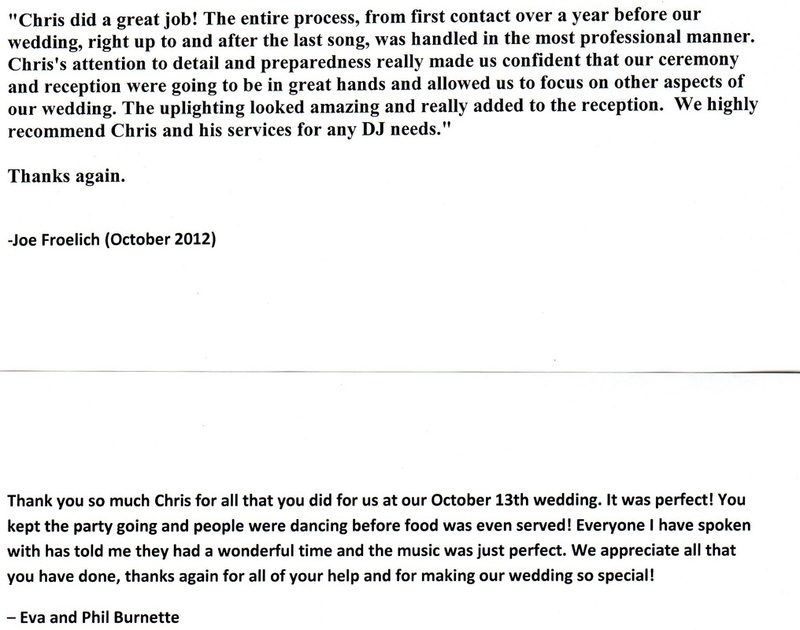 "Chris was a fantastic DJ. 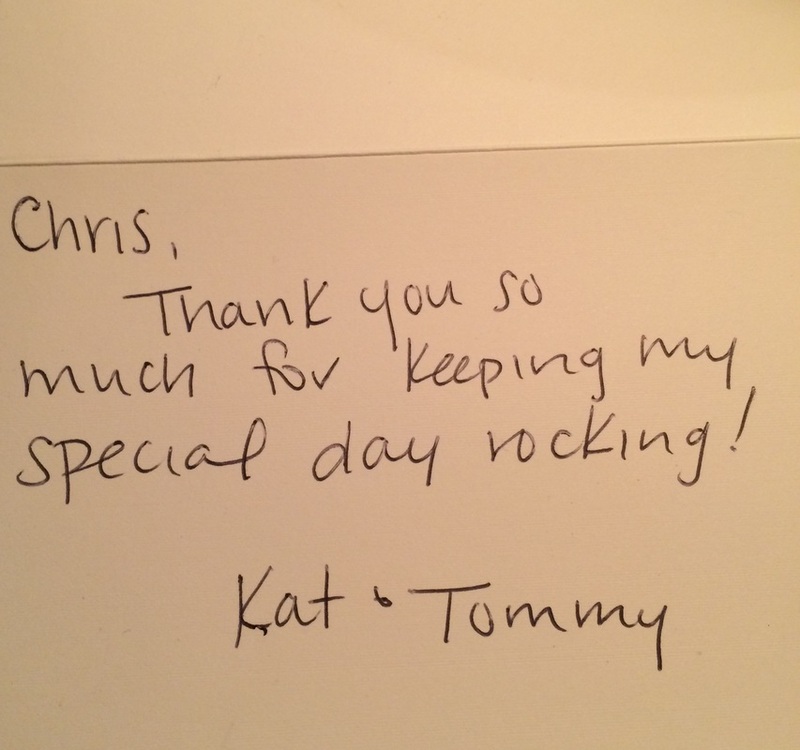 He was meticulous with his attention to detail, and he was incredibly responsive in our communications. 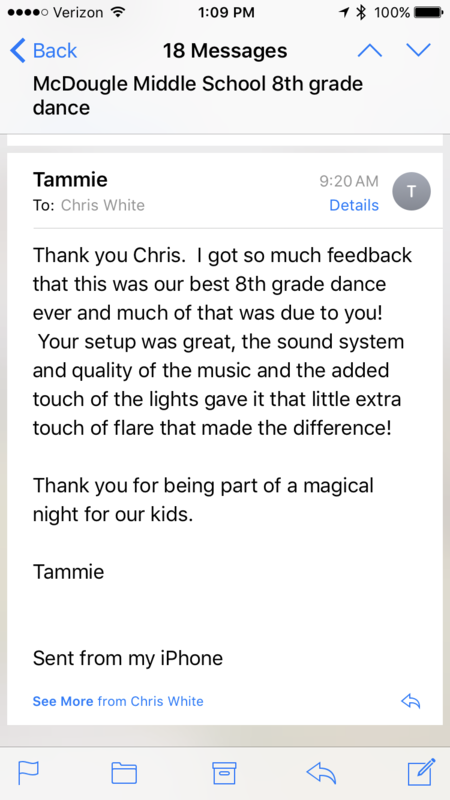 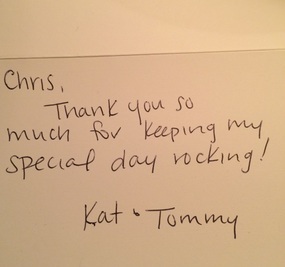 Chris thought of aspects in the weeks leading up to the wedding that hadn't occurred to me, so we were grateful for his professional advice in the planning process. 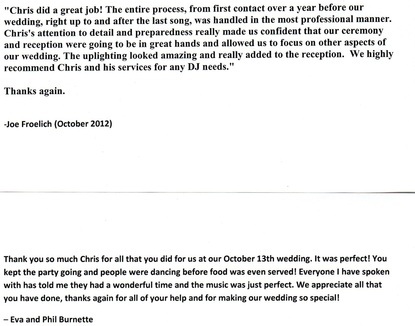 Bottom line is that Chris' role was instrumental for a wonderful and very fun wedding reception. 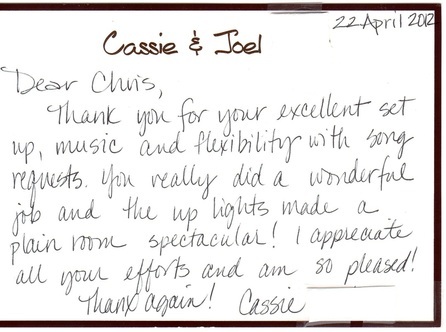 He is a consummate professional, and we would recommend him highly!"